Hand beauty tips are vital and we must be very careful in taking care of our hands and in knowing how to make your hands white. We use our hands to perform almost every task of routine. So, they are always exposed to the odds of the environment. Hands are an important part of our body and beautiful hands can add to the overall beauty of your personality and make you confident. We come with some of the easy and amazing hand care tips that will help you have beautiful hands. 1. Wash your hands: Using appropriate hand wash keeps your hands clean and makes your hands, dirt free. But, do not wash them too much, four to five times a day is enough. 2. Hand Mask: You can use the paste of avocado as the hand mask. Make the paste of some avocados and apply it on your hands for 15 minutes and then wash it off with water. This paste contains fatty acids and antioxidants which make the skin tighter and youthful. 3. Massage: Massage your hands with almond oil or olive oil and wash them with slightly warm water after 20 minutes. This treatment gives a soft appearance to your hands and prevents lines. 4. Hand Toner: To make your hands nourished, apply the mixture of 1 spoon lime juice, 1 spoon of raw milk, and half spoon of honey on hands and wash this toner off after 20 minutes. This toner is vital for hand beauty tips. 5. Moisturizing: Apply an appropriate moisturizer on your hands after every time you wash them thoroughly. Use some light moisturizer in summer and opt a heavier moisturizer for the winters as skin gets dried quickly in winters. 6. Scrub your hands: Removing dead skin from your hands give them a new and refreshing look. Use some homemade exfoliating scrub. Take one tablespoon of sugar and mix it with a tablespoon of olive oil and half spoon of lime juice. Apply this mixture on your hands, it acts as the amazing exfoliating agent and gives beautiful look to your hands. 7. Trim your nails: Nails are an important part of the hand and they add value to the overall beauty of your hand. Trim and file your nails at least once a week. Moisturize them along with your hands to give them a nourishing effect. 8. Pamper your hands: A Thorough manicure is necessary at least once a month. It helps in keeping your hands clean and massages the hands thoroughly. It exfoliates the dead skin and makes your hands look youthful and nourished. 9. 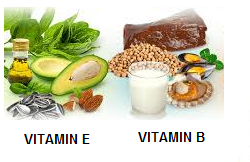 Healthy Diet: Include the Proteins, Vitamin E, and Vitamin B rich foods in your diet plan. Healthy food keeps your skin and nails healthy. Eating a healthy diet makes your hands supple and gives them a soft look. The above tips are vital for hand beauty tips and in understanding how to make your hands soft.